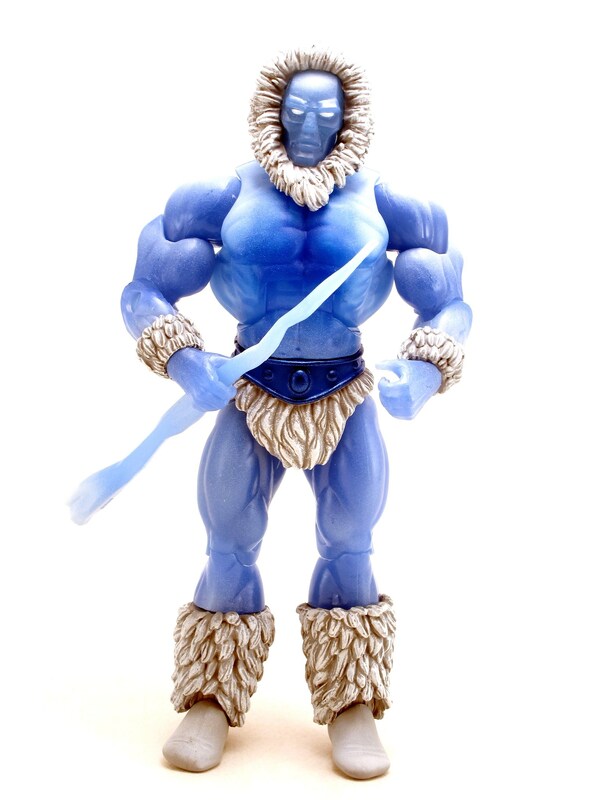 Originally from the outskirts of Stillia in the Ice Mountains, Icer is a master of controlling cold weather. 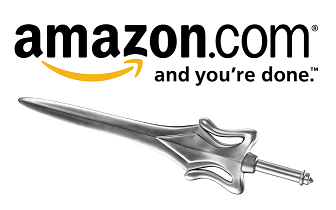 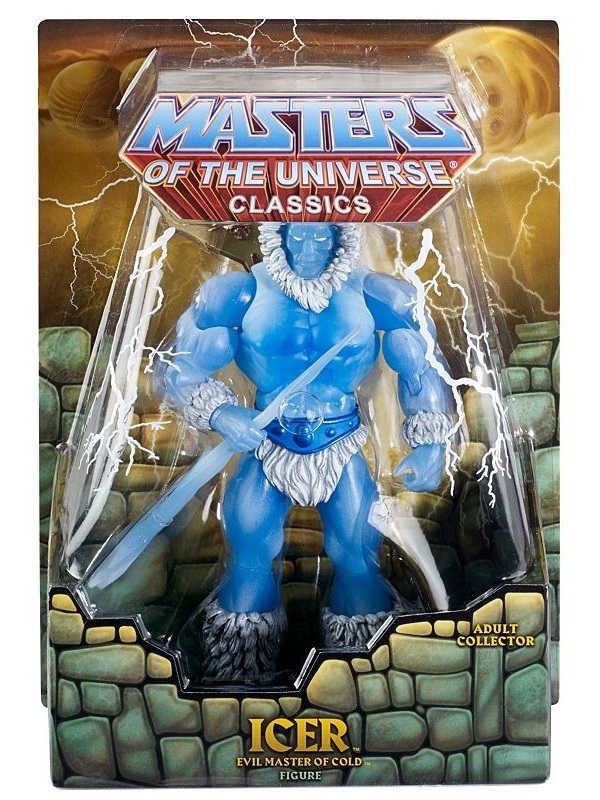 Skeletor recruited him after realizing a need for evil agents in the North and exploited him when Whiplash failed to obtain the Ice Raider from King Randor. 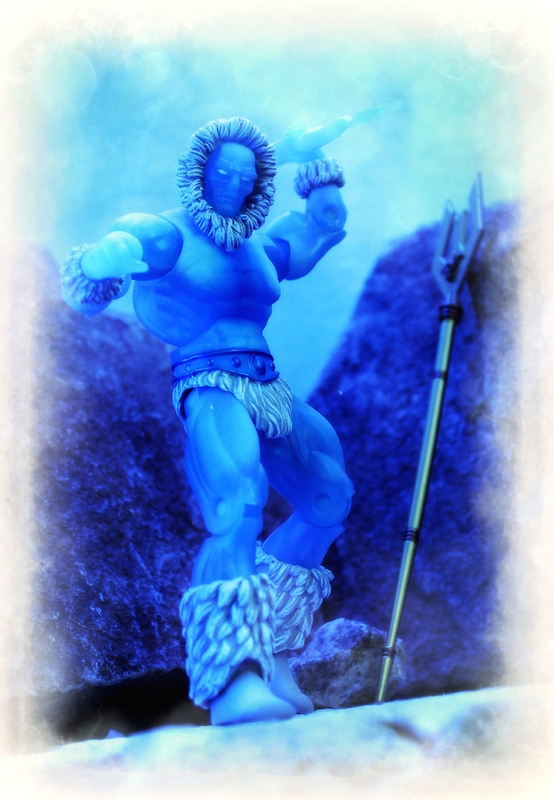 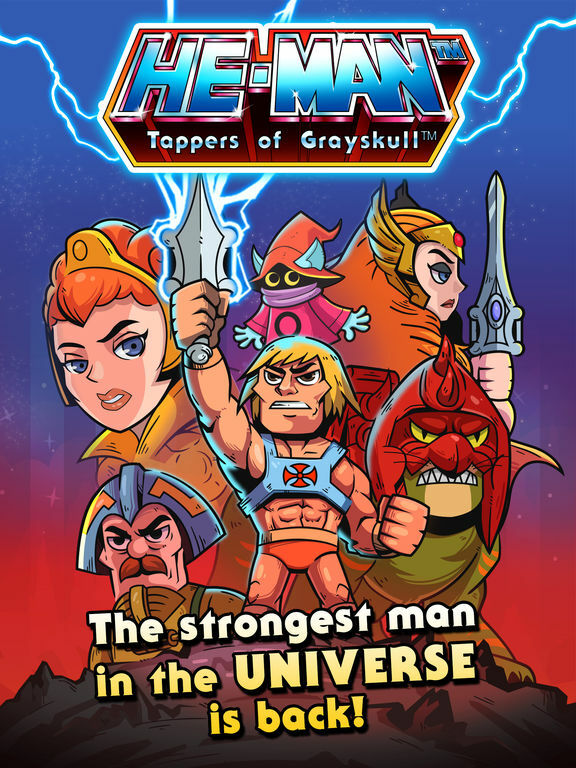 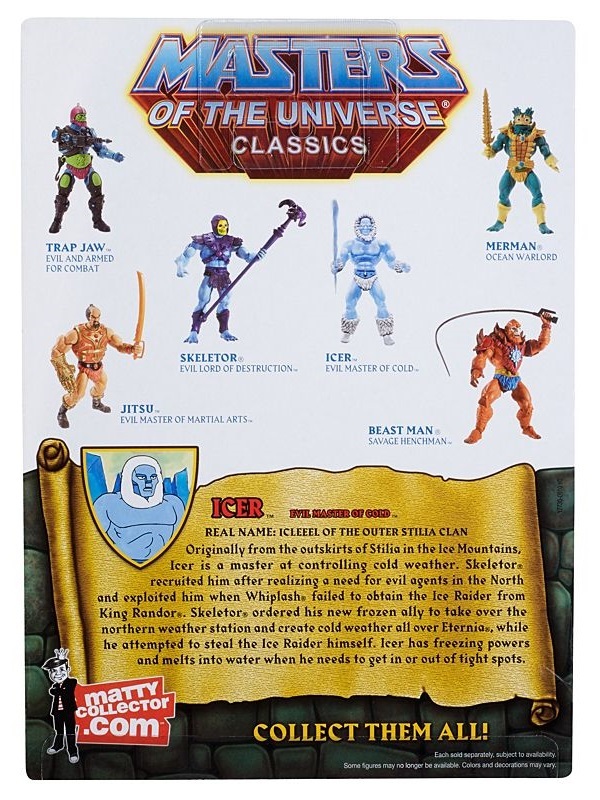 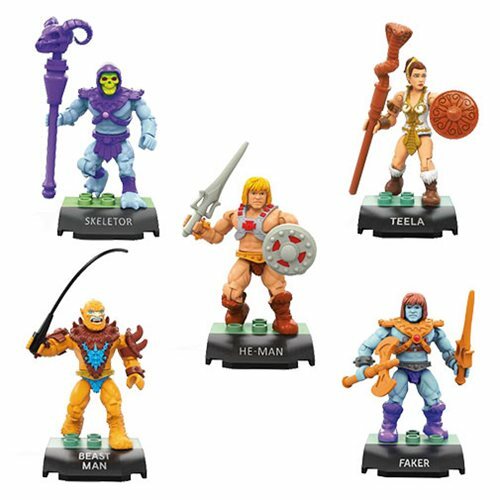 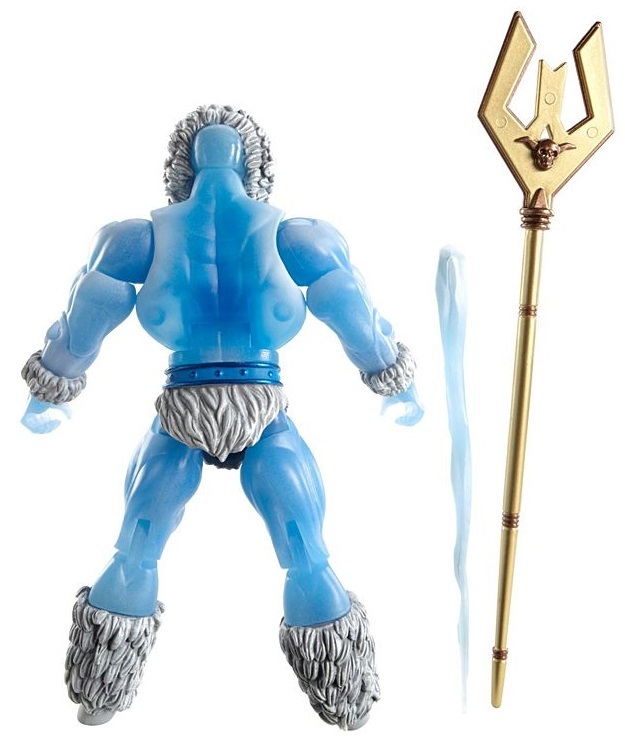 Skeletor ordered his new frozen ally to take over the northern weather station and create cold weather all over Eternia, while he attempted to steal the Ice Raider himself. 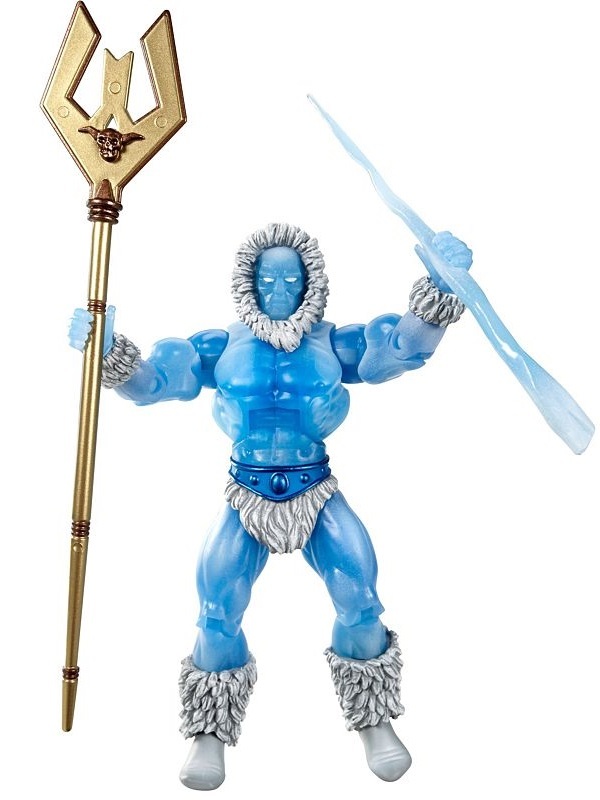 Icer has freezing powers and melts into water when he needs to get in or out of tight spots.